This page of the website provides an opportunity for you, whether you live locally or further afield, to publish your research into the history of Wheathampstead. Please contact us if you have written an article, or maybe just some notes, that you would like us to add to this page. If you are thinking of writing something and would like some advice, please contact us. If you have already written something but are not sure if it is suitable or ready for publication, we would be pleased to help with editing and/or proofreading your work. For information about this painting, click here. Jesse Chennells was a member of a long-standing local family. 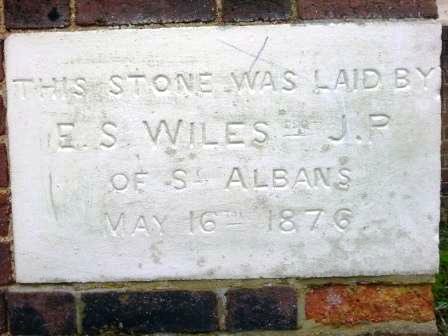 Brought up at Town Farm in a family of devout Congregationalists, he married and moved to London as a 'City missionary'. When his mother died, he returned to Town Farm and, during the rest of the 19th century, became a notable figure in the life of the Congregational Church and the village as a whole. 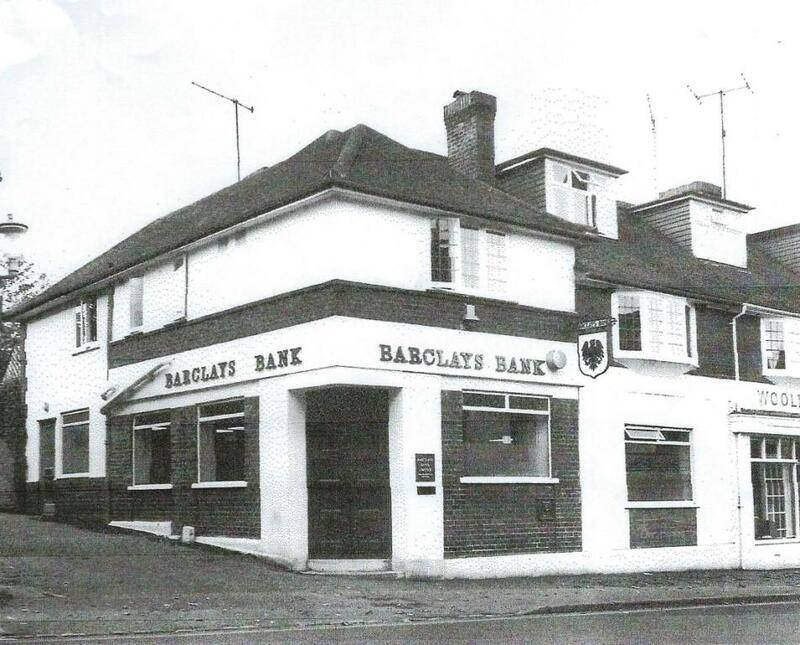 Older residents of Wheathampstead will remember the branch of Barclays Bank that stood where the Chinese restaurant is now but even they may not know that the Bank first opened in the village in 1906 – in the stationmaster's house. Read the full story. A biography of George Thomas Pretyman, Rector of Wheathampstead from 1814 to 1859. Making the most of the then-common practice of holding more than one ecclesiastical office at a time, he featured in The Black Book: or Corruption Unmasked, An Exposition of Abuses in Church and State' in 1835. On the other hand, he founded the first National School in Wheathampstead. 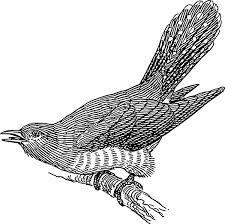 Letters published in 'The Times' in 1902 tell an amusing story involving the local gentry. An automatic telephone exchange was installed in Wheathampstead in 1938 but both Sir William Beach Thomas and Olivia Upton Robins were so dissatisfied with it that they wrote to 'The Times' newspaper. The Wheathampstead workhouse was probably opened in the 18th century but the first record we have is dated 1804. The workhouse was part of a group of buildings in the High Street known as 'Workhouse Yard'; they were demolished in 1935. To see what stands there now, click on 'Lost Buildings of the High Street, Part Two'. Joseph Payne was the driver of a train that collided with another near Wheathampstead. Read the official report of the accident, together with a more personal account by Joseph Payne's great-grandson, who lives in the village today. 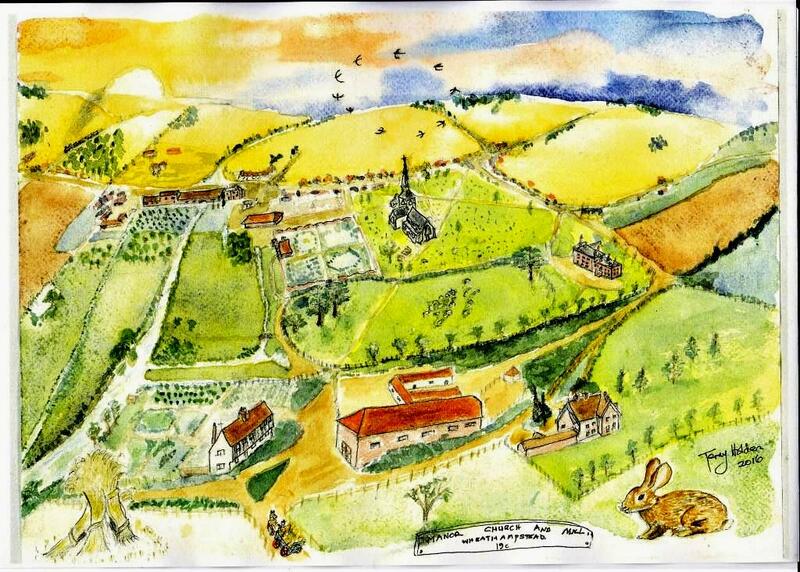 Charles Higby Lattimore was a wealthy tenant farmer in Wheathampstead in the 19th century, first at Bride Hall and later at Place Farm in the village. He campaigned for tenant farmers' rights and carried on a lifelong feud with his landlord, Drake Garrard of Lamer. He also campaigned for the repeal of the Corn Laws and was a friend of Richard Cobden. The opening of the Congregational Church on Brewhouse Hill in 1876 triggered a lively correspondence in the Herts Advertiser between Algernon Pike, Master of the village school, and Charles Higby Lattimore. This article uncovers the background to this dispute as the two men exchanged genteel insults about issues to do with St Helen's Church, the school, and the new sewage works. On 11 April 1939, the prototype Moth Minor aircraft, developed by de Havilland at Hatfield and piloted by Geoffrey de Havilland Junior, crashed just outside the village. This article describes the crash, explains its cause and describes the modifications that later made the aircraft a success. John of Wheathampstead was the son of Hugh and Margaret Bostock of Mackerye End. He rose to become Abbot of St Albans not once but twice - from 1420 to 1440 and again from 1451 to 1465. The life of Reuben Dunham, a tragic tale that opens a window onto the lives of the labouring poor of north-west Hertfordshire at the end of the nineteenth century. George Upton Robins was from the Robins family of Delaport and later lived at Lea House, The Folly. He served in both the Boer War and the Great War and died from the effects of gas poisoning at Hill 60, near Ypres. This article shows how his sister, Olivia Upton Robins, visited his grave in France and how it was possible for poorer people to visit the graves and memorials of the fallen of the War. An Iron Age mystery. Who were the Belgae? Did they invade Britain? 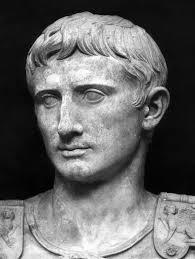 What about Julius Caesar? Should we erase ‘Belgic' from our history books? In addition to the main War Memorial in the churchyard, there are several memorial boards, windows and tablets in the parish. In this article, Margaret and Terry Pankhurst describe how all these came about. The article complements the Pankhursts' two books: 'More than Just a Name' and 'Wheathampstead: Details of the Fallen 1914-1918'. This illustrated article is in two parts. Part One is about the east side of the High Street. Click here. Part Two is about the west side. Click here. These are both large files which may take time to download. Bury Farm Cottages were originally the hall, chambers and gatehouse of the Wheathampstead manor house. The current residents have lived there for more than 60 years and have researched the history in depth. In this article, they describe the origins of the manor of Wheathampstead in 1060 and trace its history up to the twentieth century. The author of this article lives in North Wales where he specialises in Welsh and Roman history, giving talks to local groups in and around Criccieth. These extracts are from two of his lectures, as they relate to Wheathampstead. Dawn Chambers, who lives in New Zealand, traces the history of her family back to David Ward, an 'interesting' character who lived in Wheathampstead in the early 19th century. Amy Coburn's father and grandfather were managers of the sewage works from the day they opened and for the next 80 years. In this account, written in 1992, she tells the story of the works and of how she helped her father, together with some amusing memories of those times. These articles are based on the content of the logbooks kept by the Masters and Mistresses of the school from 1862 to 1918. The logbooks are stored at HALS where they are being conserved and digitised so they can be made available on the website 'findmypast'. Thomas Clark, son and grandson of blacksmiths, rose to become Master of St Helen's School. His entries in the school logbooks show him to have been a conscientious and sensitive Master. This short biography traces his origins, his family life and his work at the school. 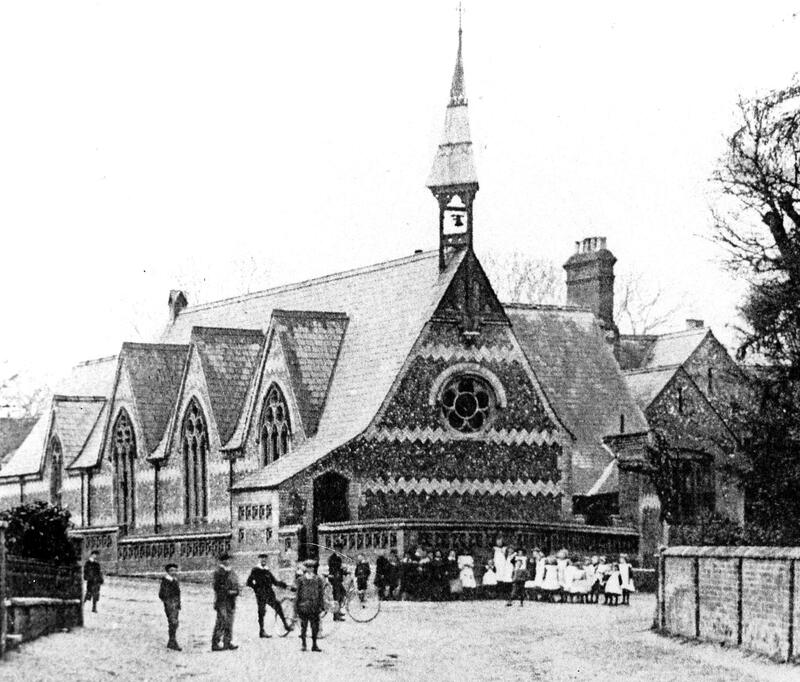 The story of St Helen's Infants' School from the day it opened on 29 December 1862. It is based on the daily entries in the logbook that the Mistress was required to keep. The last entry in this, the first logbook, was made on 23 December 1897, when this installment of the story ends. A search of the logbooks kept by Thomas Clark during the Great War shows its effect on the day-to-day life of the school. The children knitted socks and comforters for soldiers at the front, and later made splints and bandages, as well as sending cigarettes, making donations to War Savings and cultivating vegetables for the war effort. The logbooks record visits by former pupils and, in some cases, their deaths on active service. Similarly, if your contribution includes copyright material from elsewhere, please make sure that you have permission to re-use it. Short quotations of up to about 400 words do not need permission but their source must be acknowledged. Photographs and other images are copyright so you should always get permission to reproduce them. For detailed advice about copyright, see the Copyright Service .